"I couldn't put it down"
"I would definitely recommend it"
Buy it now on Amazon! Author of "The Knight of Cups" and "The Queen of Pentacles" from "The Danse" book series. While investigating a gangland murder, Chicago Police Detective Tom Chapel discovers that the world is darker than he’d ever dreamed possible—a world where evil is very real, where creatures like vampires gather in dark alleyways, and where the most dangerous predator isn’t always what you’d think. Are Chapel’s experience and skills as a cop up to the task, or are they a liability? And just who is Pieter Durant? The Knight of Cups has garnered praise from reviewers, such as “There were times that I couldn’t put it down because I just HAD to see what was going to happen to the characters” and “It is several genres that aren’t usually combined, rolled into a cohesive and compelling tale. 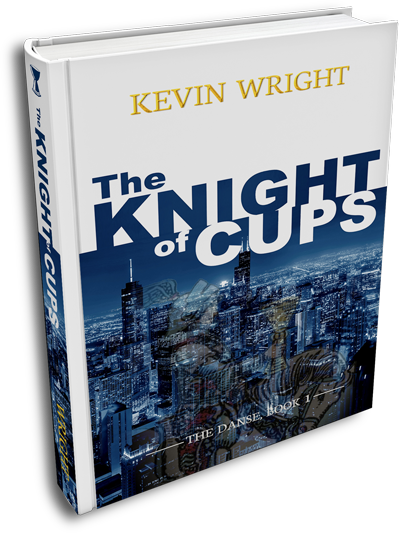 Somehow it manages to be suspenseful and hilarious at the same time.” The Knight of Cups is available in both paperback and Kindle formats.